Windshield scraper, tool kit, booster cables, tow rope, and a shovel. Monitor local weather broadcasts and follows up-to-the-minute weather conditions at National Weather Service. 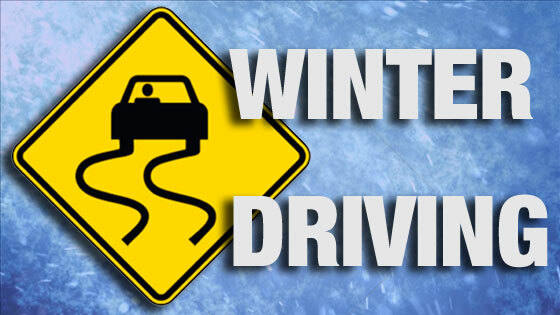 On icy roads, drive slowly and increase the distance required for stopping, and avoid using cruise control. Make sure that furnaces, heaters, fireplaces, and wood stoves are clean, well-ventilated and in good working condition. To prevent carbon monoxide poisoning, NEVER operate generators and other fuel-powered devices inside a home or an enclosed space, such as a garage. The deadly odorless, colorless gas is produced any time a fossil fuel is burned, with sources including motor vehicle engines, generators, and fuel-burning appliances or heating systems. Consider installing a carbon monoxide detector.